Cushioned padding to protect the patient from uncomfortable pressure. 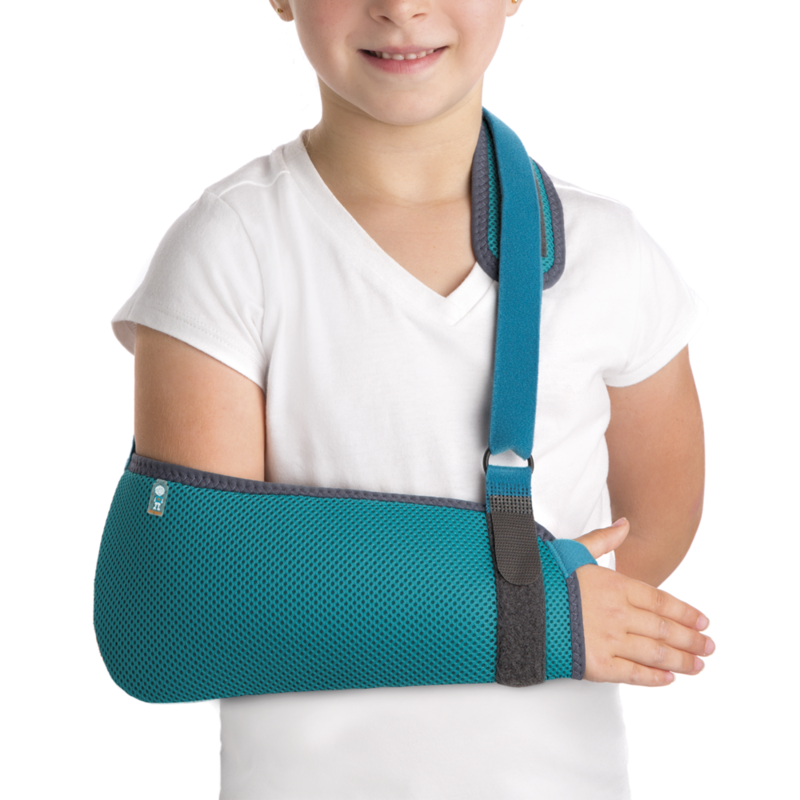 Made of breathable honeycomb fabric and terrycloth, this elbow and forearm sling features Velcro fasteners that enable the length of the strap to be adjusted to fit the requirements of each patient. The strap has cushioned padding to protect the patient from uncomfortable pressure on the neck and shoulder. Indications: Post-operative or post-traumatic immobilisation treatment, Shoulder and arm injuries that require reduced mobility for treatment, Soft tissue injuries, such as infections or burns.